Attorney General William Barr said Tuesday he expects to release a redacted version of special counsel Robert Mueller’s Russia investigation report “within a week,” the Associated Press reports. 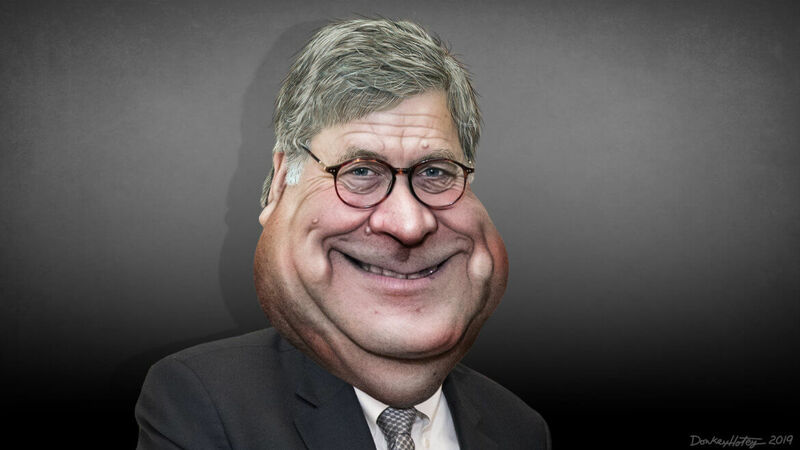 Barr told members of Congress at his first public appearance since receiving the Mueller report, which is nearly 400 pages long, that is being scoured to remove grand jury information and details that relate to pending investigations. Democrats scolded Barr, telling him they were concerned that a summary of the report’s main conclusions he released last month portrayed the investigation’s findings in an overly favorable way for President Trump. House Appropriations Committee chairwoman Nita Lowey (D-NY) said she was taken aback that Barr had reduced Mueller’s report to a four-page letter in just two days. That letter said that Mueller did not find a criminal conspiracy between Russia and Trump associates, and that Barr did not believe the report proved that the president had obstructed justice. Barr said Tuesday that, “The thinking of the special counsel was not a mystery to the Department of Justice prior to the submission of the report.” Barr was summoned to Congress to talk about his department’s budget request, but lawmakers still asked about the Mueller report. In his opening remarks, sent to the committee on Monday, Barr focused on funding requests for immigration enforcement and the fights against violent crime and opioid addiction. Barr said Tuesday that for two fiscal years in a row, the Justice Department has broken records for prosecuting violent crime. DOJ has also significantly increased prosecutions of firearms offenses, and in the last fiscal year prosecuted more firearm defendants than ever before. Attorney General William Barr expects to provide special counsel Robert Mueller’s report to Congress and the public on Thursday. It could determine the tenor of the rest of the Trump presidency.